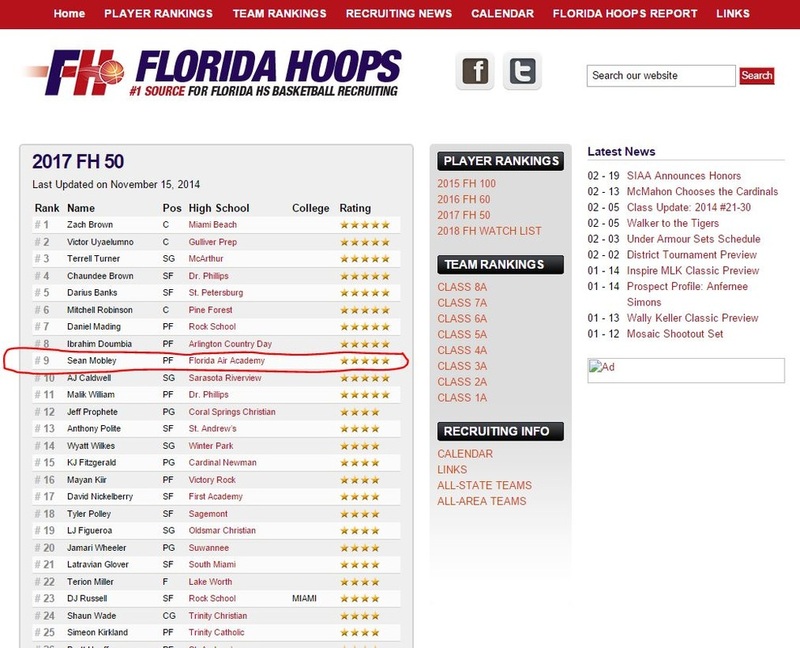 * Please respect our privacy with Universities as we do not openly discuss offers.
" 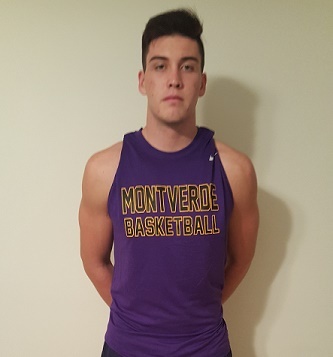 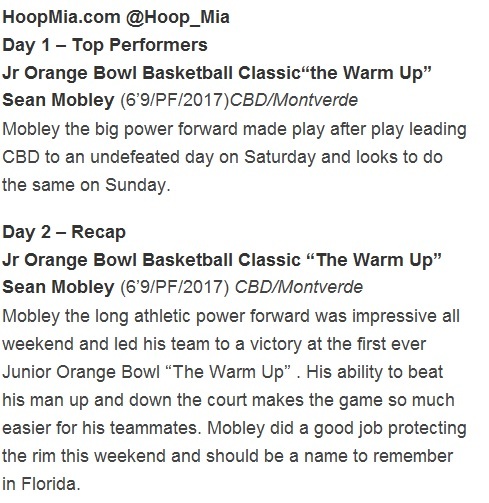 From Florida Air Falcon to MVA Eagle"
"Mobley 3 pointer at the Buzzer"
VIDEO: Montverde Is the Deepest Team in the Country! 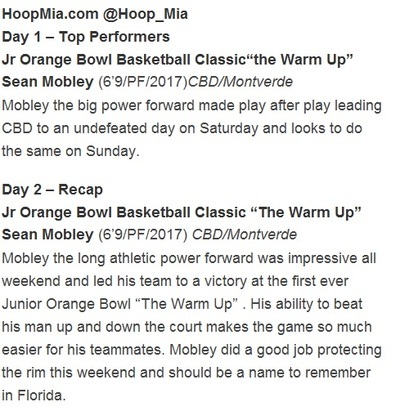 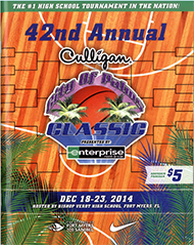 Jr Orange Bowl Basketball Classic " The Warm -Up"
Following pre-season departure and devastating loss of nationally ranked Nike 100 Center Ted Kapita 2015 (7.0" Senior) to Huntington Prep, which has moved on now professionally in France, Florida Air was unable to raise a big man. 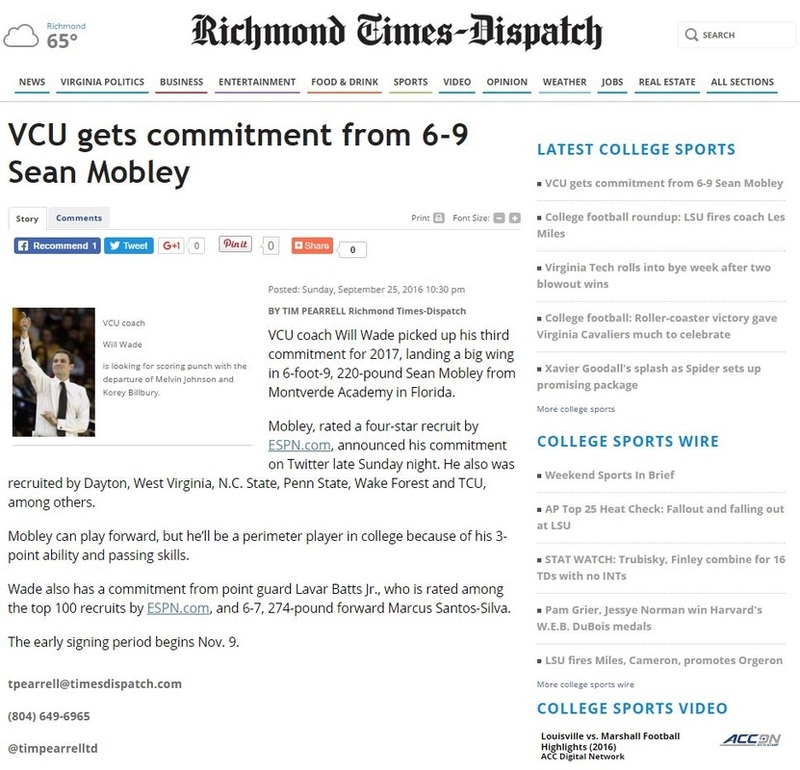 2nd year Team Captain /Sean Mobley (6.9" Sophomore 2017) shifted from his experienced 2/3 position to play Stretch 4 due to his 6.9" height among his teammates. 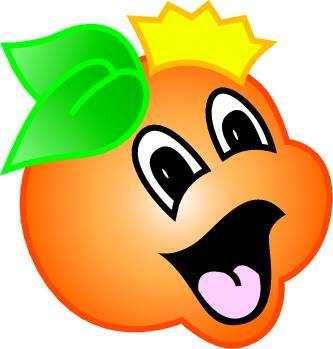 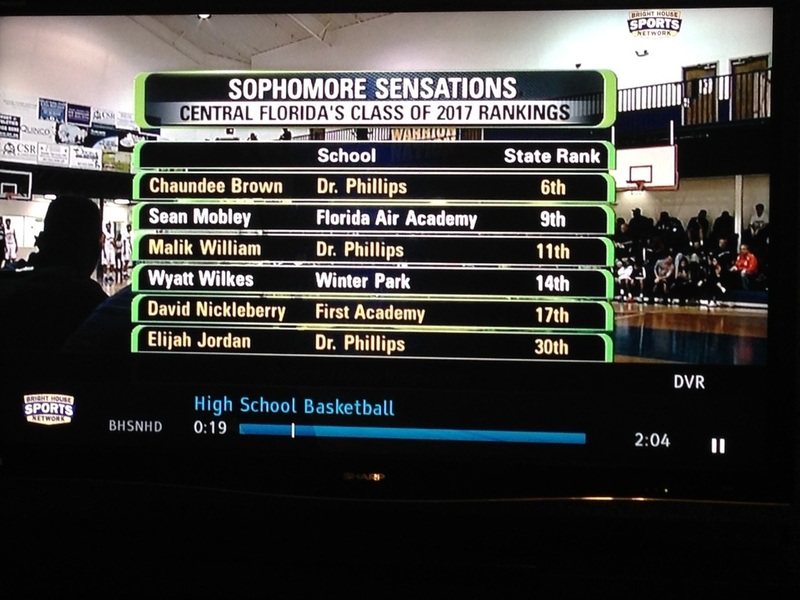 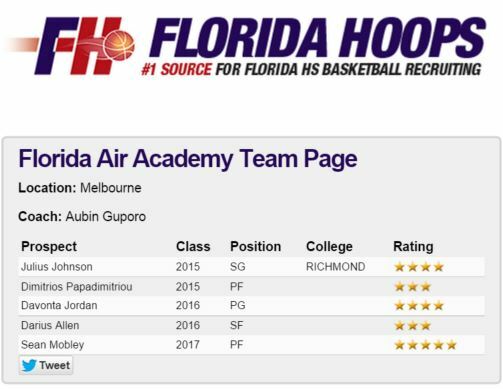 Florida Air still managed to post a 27-4 season record, and compete w/only losses coming from 2 National Top 15 teams at City of Palms, eventual State Champions, and State Finalist.